The Zurich Marriott Hotel has unveiled a new meeting space with its own foyer and entrance. The 150 sqm space is in addition to the hotel’s existing 15 meeting rooms and four foyers, which offer 1,730 sqm of space. The Millennium Ballroom can cater for up to 600 guests, while the Century Ballroom can accommodate up to 450. 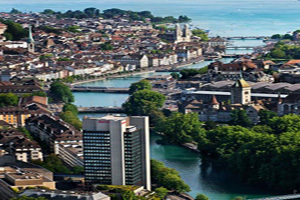 The hotel is located in the centre of Zurich next to the Limmat river.